Crafting strategy : school boards, systems or command and control approach? Rapid and intense changes to the English education system, particularly since 2010 have created a quasi-market operating environment for schools. Research into other areas of the public services reveals that the ability of boards to create externally facing effective strategy, is vital for their survival and ongoing improvement, yet in education we know little about how school boards and the 300,000 volunteer board members within them understand, create and develop strategic direction for their schools or how important it is to school survival and improvement in the current climate. This blog post focuses on a paper to be presented at the American Educational Research Association Conference 2016- Washington DC and which examines exactly these questions. Research tells us that across the public sector board approaches to strategy are linked to notions of public value and are extremely influential in determining the shape and form of organisations and how they respond to service users, yet in terms of English education the role of strategy is underexplored. Command and Control or deliverology? It is certainly true that in the English quasi-marketised system of education, increasing emphasis is being placed on board members’ ability to set, monitor and evaluate strategic direction, not only in terms of school capabilities, but perhaps equally as importantly, in terms of the shape and form of schools within the context of the wider system. Research has shown that in areas of high deprivation, school boards are particularly cognizant of the need to serve their communities, but what is not known is how they articulate this need in terms of strategy: how they draw on particular sources of information to craft strategic direction as an evolving and learning process (Baxter 2016a, Baxter and Hult 2016). Command and control approaches to strategy, made popular by the Audit Commission and Blair’s Prime Minister’s Delivery Unit, placed a great deal of emphasis on targets, performance management and delivery outputs in order to effect public service improvement (Campbell-Smith 2008). Since then researchers and organisations that do not believe that this set of ideas creates real improvement in public services have been exploring other routes – particularly in relation to strategy (Alimo-Metcalfe and Alban-Metcalfe 2004). One such set of ideas is articulated under the broad banner ‘systems thinking’ and draws on theories that vision strategy in terms of a whole system approach. How do school board members understand strategy? Examining how school board members articulate their understandings of strategy in this study draws on a sample from multi-academy trusts in areas of high socio economic deprivation. Exploring how governors approaches to strategy fit within existing models the study looks at whether these approaches are discursively underpinned by command and control or systems thinking (Seddon 2008, Graham 1999). As the findings reveal, many board members although they aspire to a systems approach, feel ill equipped to operationalise this in their handling of strategy. This appears to be founded in the belief that either they lack the knowledge necessary for this work, or they are more comfortable with monitoring and evaluating strategy that is developed by the head and senior leadership team. Governors, for the most part did have a deep and committed relationship with communities in which their schools were located. Yet in spite of this, still appeared to lack confidence in terms of translating this knowledge into setting the strategic direction of the school (Baxter 2016b). This is supported by governor interpretations of what strategy is: even governors that appeared comfortable with strategy within their own professional lives often appeared at sea when interpreting this in terms of a public service/schools context. Analysis of documentation relating to inspection processes was instrumental in identifying expectations of board understandings of strategy. These documents were peppered with command and control terminology which concomitantly appeared in board member narratives. Again this points to the need for inspection processes to reflect a systems approach, if indeed this is the way that both government and inspectorate wish to see the system develop and improve, as evidence from policy documents, press releases and media reports suggest they do. In spite of a plethora of research investigating board approaches to strategy in the private and not-for profit sector, there is little in terms of education. This may well be due to the speed at which the current wave of marketization has occurred: According to the DfE since 2010 4, 000 academies opened in England – almost 20 times as many as there were in May 2010, when all 203 academies were sponsored secondary schools of these 87% of academies support other schools in some way (DfE 2014). It is clear from this case study that this area is becoming increasingly important as one for research if the notion of a self-improving education system is ever to maximise its potential and come fully to fruition. Alimo-Metcalfe, Beverly, and John Alban-Metcalfe. 2004. “Leadership in public sector organisations.” Leadership in Organizations 174. Baxter, J. 2016a. 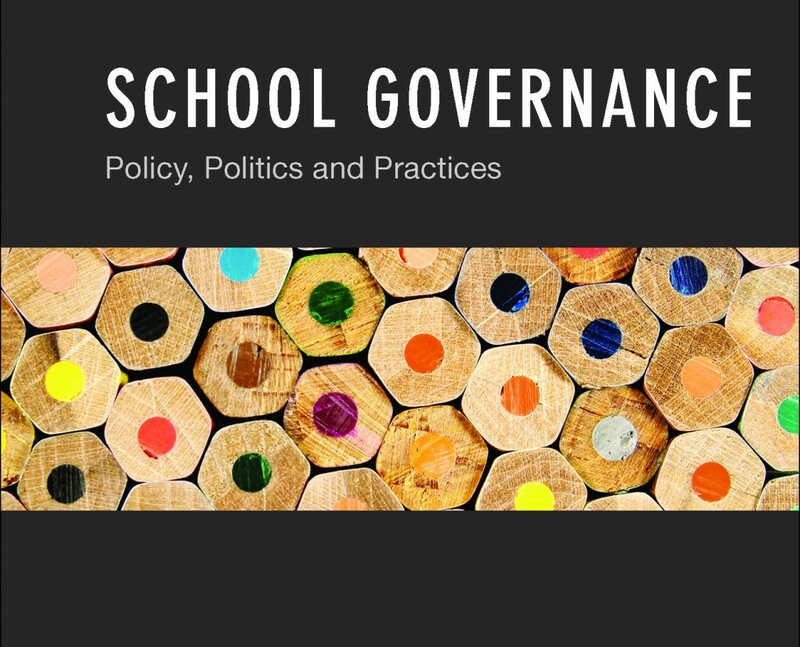 School governing : politics, policy and practice. Bristol: Policy Press. Baxter, J. . 2016b. “Strategic leadership: board members in areas of high deprivation ‘deliverololgy or systems approach?’.” AERA _ The American Educational Research Association Conference 2016, Washington DC, 080416. Baxter, J. , and A. Hult. 2016. “School inspectors in Sweden and England: the impact of changing policy on practices. .” In School inspectors: operational challendges in National Policy Contexts edited by Baxter.J. London: Springer. .
Campbell-Smith, Duncan. 2008. Follow the Money: A History of the Audit Commission: Penguin UK. Graham, P. 1999. “Critical Systems Theory: A Political Economy of Language, Thought and Technology.” Communication Research 26 (4):482-507. Seddon, J. 2008. Systems Thinking in the Public Sector. Axminster: Triarchy Press. Author Dr Jacqueline BaxterPosted on February 26, 2016 February 26, 2016 Categories Blog, Conferences, Publications, UncategorizedTags AERA, AERA2016, boards, command and control, education, education strategy, Hargreaves, Jacqueline Baxter, Minzberg, Ofsted, public sector, school boards, school improvement, self improving system, strategy, systems approaches, systems thinking, The Open UniversityLeave a comment on Crafting strategy : school boards, systems or command and control approach?